Network principles describe uniformly systems as diverse as the cell or the Internet. The emergence of these networks is driven by self-organizing processes that are governed by simple but generic laws. 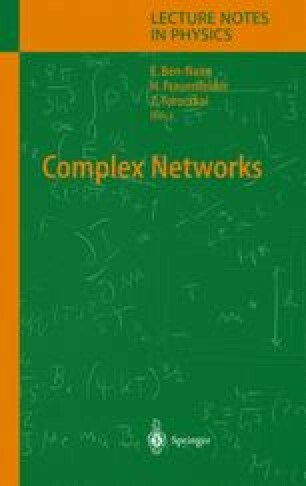 While unraveling the complex and interwoven systems of different interacting units, it has become clear that the topology of networks of different origin share the same characteristics on the large scale. In biological systems, networks appear in many different disguises ranging from protein interactions to metabolic networks. In this paper, we survey the most prominent characteristics of biological networks focusing on the emergence of scale-free architecture and hierarchical arrangement of functional modules. Finally, we present empirical evidence that cohesive parts of the protein interaction network have a significantly higher tendency to be evolutionary conserved.